Verulani's image after receiving her gift. So, I got my third legendary last week. 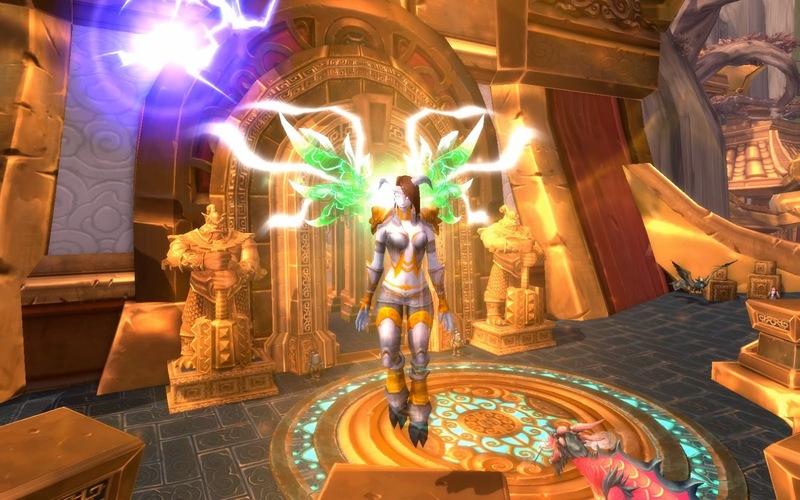 My Shaman Alt also got her legendary cloak, and I was not even going for it. It just, sort of happened. And that is probably THE reason I don't really like this Legendary. You just get it, while playing, you don't have to do really strange things. 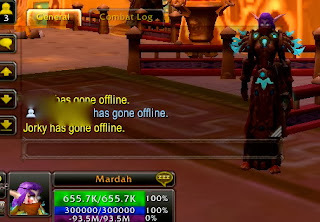 The only thing that could be hard is the part where you have to fight Wrathion, that was a real problem on Mardah (I eventually did the healing version), but on Verulani, it was a cake-walk. I failed once, remembered that I had a Plethora of spells (totems) that Moonkins do not have, and went to town. Verulani now has an Ilvl of 540..which actually makes her ready for normals I guess, considering that is the Ilvl for flex. But there's only so many times I can see the same raid in a week, and my baby-warlock is growing up fast, reaching 501 last weekend, after I remembered that I can buy a cheap 522-necklace somewhere. And I started completing the road on my Orc Hunter. The problem here is for me, that this patch will probably last for another 6 months.... and that will probably mean, I will end with all spots on 90... oh my. What to do...and then the next thing happened, although I was forewarned, it really put me in a mood to think back to the 'old' TBC-raiding days, oh well. Jorky goes offline, for the last time? WoD: The Loot is dropping differently. WoD: 20 people it is.